Earlier this month FLOAT, a new London-based label for music, events, and lifestyle announced a Piano Day event at the majestic Union Chapel in Islington. FLOAT’s theme this year is ‘collaboration’ – putting the spotlight on the piano and highlighting the numerous ways it can be used in performance. Headlining the night will be Norwegian Jazz artist Bugge Wesseltoft, playing an improvised set on piano, Rhodes, and synths. London grime MC Trim and pianist Matthew Bourne will be reworking material especially for this event, followed by an exciting debut performance from piano and electronics duo Dead Light. Berlin-based drummer and percussionist Andrea Belfi will be joining artists throughout the evening. Additionally, Neon Dance’s Frankie J will be improvising a mix of contemporary-urban dance sequences to selections of piano music. Drowned in Sound are proud media partners for this event, and over the course of the coming weeks will be interviewing the artists to learn more about their involvement with Piano Day and what they’ll be bringing to the Union Chapel next month. First in the series is Adrienne Hart from cross-media dance company Neon Dance. DiS: For those who don’t know, could you briefly describe what Neon Dance is? Adrienne Hart: Neon Dance has been going for over ten years now and at the core of the company for me is collaboration, so the idea is that I bring together a group of artists from different disciplines and we produce something that we can’t create alone. What really excites me about Piano Day is that Sofia (of FLOAT) is from a completely different field and through two seemingly very separate worlds, we’re able to offer something quite different to an audience. How did you feel initially about being asked to be involved? Well, I was really sold from the word ‘Go’. Mainly because of FLOAT and Sofia. Up until now Piano Day has had quite small shows but FLOAT’s will be on a larger scale and has an exciting concept, so yeah at first if it was anyone else I would be a bit apprehensive, but because it’s Sofia saying ‘Let’s do this’, I was like ‘Yes of course!’ And I think with FLOAT it’s about looking sideways, in a way. How has the collaboration for Piano Day developed? At first, we were thinking contemporary dance – that’s very much what we’re known for. But then it just seemed a bit obvious. We then thought that Frankie J, an artist that I’ve worked with in the past, would be ideal. He’s definitely going to add a different energy, a different element, to the whole evening, and hopefully, offer something that audiences wouldn’t necessarily expect from a music event. How did you get to know Frankie J? We’ve known one another for a long time. I’ve done a lot of work at a dance organisation called Swindon Dance and I spotted him as a youth dancer. 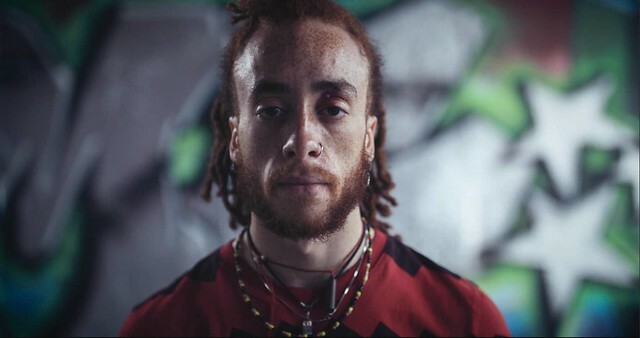 He was still training, and there was something about him, and his focus and his determination, and he was one of the hardest working dancers that I could see in his cohort. He was studying urban dance at that time but went on to go to a dance conservatoire for contemporary dance, so he graduated as a contemporary dancer but went back to his roots as an urban dancer. He then went all over the world doing competitions, as a house dancer – that’s what he’s become known for. A while later Neon Dance was invited by Pioneer to do something out in Ibiza, and there I worked with Frankie for the first time in a professional setting. It was a risky and difficult environment, but he still engaged the audience. And since going through that I’ve wanted to work with him again. What’s your specific involvement with Piano Day? In a way, I have a certain relationship with Piano Day. Neon Dance commissioned Nils Frahm and Anna Müller to create a score for us a few years back (2012), around that time Nils was developing with others this idea of Piano Day, so I guess I’ve been following that journey with them. At first Sofia and I were talking about making it extremely choreographed and fixed in stone, but you realise that it would be way more interesting to offer something that’s more fluid, so there are these exciting sets from the musicians throughout the night, but then there’s Frankie who is able to produce many different dance styles and react in the moment. It will be improvised but I will be giving some directions on the night. I guess this format is slightly different to the usual dance show in that they’ll be in between the music performances, so they’ll almost be little snippets or scenes of short dance sequences. Is that quite different to doing longer shows? Yeah certainly from my world in the theatre, it’s quite unusual, although lighting the whole night will be Stuart Bailes, who’s a long-time collaborator, so I’m confident in his ability to light things in a way where the audience feel if they need to go grab a tea or a beer, or go to the toilet, they can do, while equally there’s enough focus there to really tap into Frankie’s energy and performance. 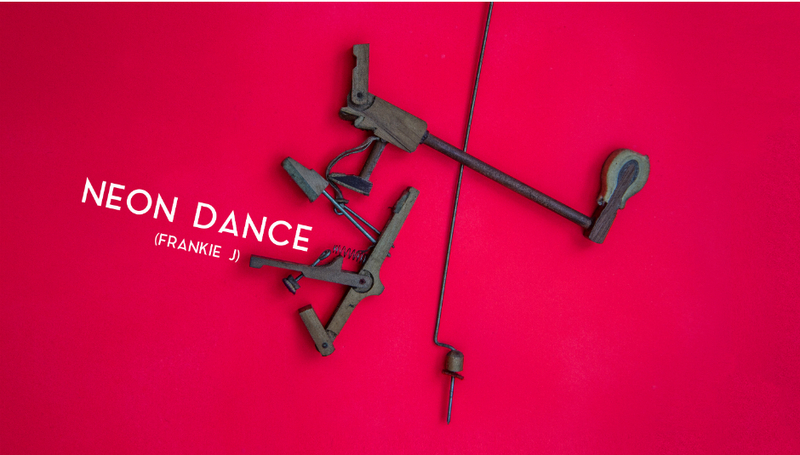 I think from Frankie’s point of view and why he’s so ideal is that house dance, which came out of New York and Chicago, is something that’s come from the streets as opposed to the club scene for example, so I think he’ll be more attuned to a crowd that might want to chat and have moments of being really engaged, and others where they might be aware of this dancer over there but not fully in there. So what are your thoughts about this happening in Union Chapel? I love that space. One of my first performances was in the Union Chapel, and I have fond memories of it. I’ve also seen a lot of shows there – all very different. I think it’s a beautiful space, and people that go there have a certain respect for the space, partly due to the fact that there’s not a full-on bar in the main room where the performances are, which changes the vibe in that building. There’s also an attentiveness in general from my personal experience as an audience member, so I think it’s a perfect fit and I’m really looking forward to seeing how Stuart works that space. For more information and tickets for Piano Day, please visit the Float website.